First Friday of every month a new stamping challenge is revealed at Craft Stamper Magazine blog. Challenge rules are simple: Create any type of project, use stamping somewhere on your project and link a picture of your creation on the challenge post. Easy! 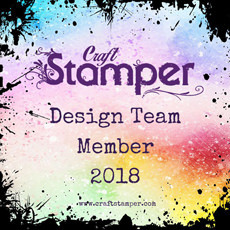 There are really cool prizes to be won, and each month the design team votes for their favourite project to be highlighted in the Craft Stamper Magazine. How cool is that! 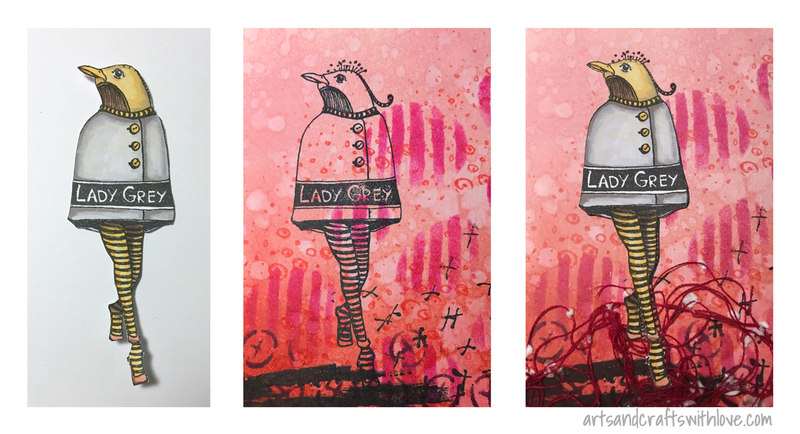 I love the contrast between the elegant Lady Grey and the bold pink/red background. Isn't she's the coolest lady in town: She's wearing a simple short grey jacket and neat striped tights, keeping her head up, and walking in high heels. A true mark maker! 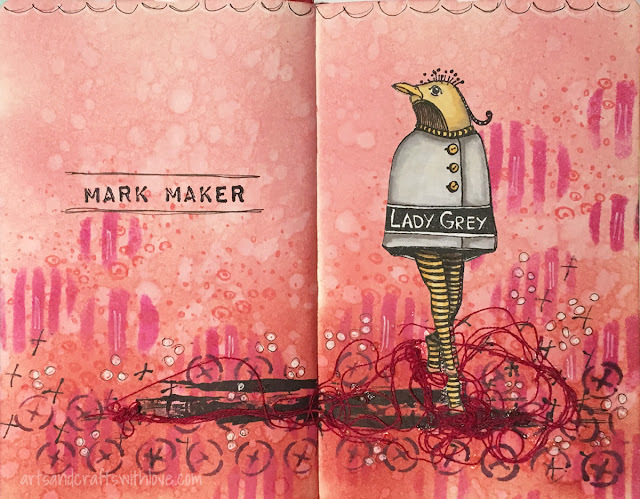 I stamped the main image on heavy white paper, coloured with Promarkers, and cut out. I did not even try fuzzy-cutting the feathers on her head as there were too many small details. Instead I re-stamped the image on the page, and glued the colored, fuzzy-cut image on top. 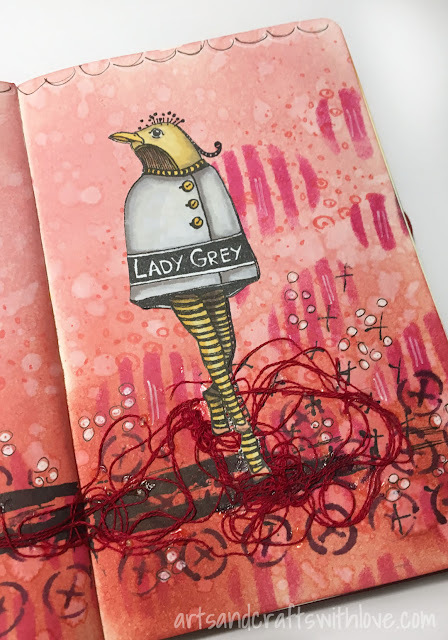 Before gluing down the image I took some red embroidery yarn, and glued it on the bottom of the page. 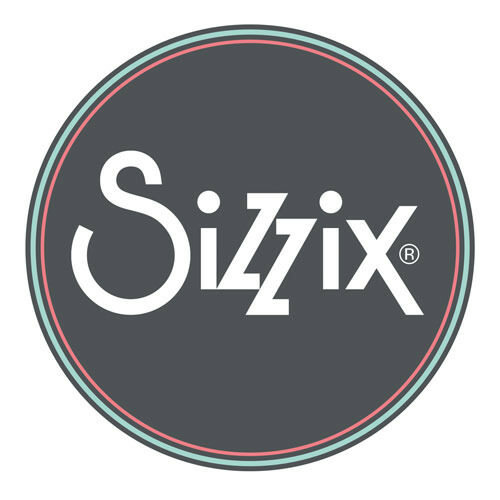 Embroidery yarn will easily hold in place with small dots of liquid glue here and there, and there's no need to cover the entire yarn with glue. 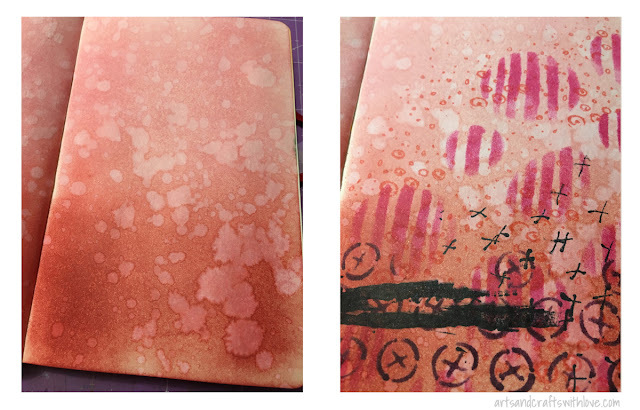 The white glue marks you see on the third picture soon dried clear. For the final finishing touches I used a white gel pen and a thin black marker pen. 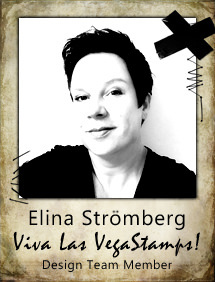 * Stamps: Viva Las VegaStamps! Thanks for stopping by in my blog! Have a great day!